Data centers consume a lot of power. In fact, the power density of a data center is 100 times greater than a large office building and equal to nine WalMart stores. This high concentration of energy requires highly technical equipment to contain. One of the most important pieces of support equipment is the server cabinet. In a data center, you will find a lot of complicated and confusing technology. Each piece of equipment works together to store data, host websites, and perform calculations. 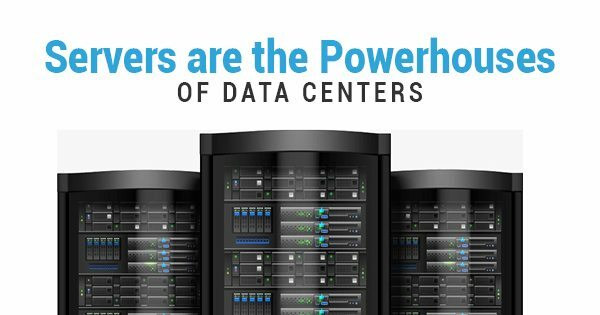 Servers are the powerhouse of the data center. They are the working parts that do all of the processing. Server cabinets and data racks are the storage devices for servers. They link up a series of servers to a single power supply in a single location. Of course, in a data center, there could be hundreds of these cabinets, each containing many servers. The trend in technology of ‘smaller and more power’ can be seen all over the world. From turbocharged engines in cars to the amount of storage we can fit on a thin square the size of your thumb, the general direction is toward compact engineering. The same precepts can be found at play in data centers. New designs for electronic cabinets and server racks involve higher density racks with many more servers being concentrated into one cabinet. This has a ripple effect on other components in the data center. Containment systems must adapt to diffuse the more intensely concentrated heat levels put out by the smaller, more powerful server localization. This means scaling both the power and the size of the containment system, all of its cooling systems, and any measurement equipment used to gauge appropriate temperatures. If you need to upgrade your data center, consider custom-built data racks. You need highly specialized equipment in many industries, but rarely more so than in data centers. The amount of heat you must move, the amount of data you need to process, and the profitability of your operation all hang in a precarious balance. Having the control you would get from custom server cabinets will make it easier to concentrate your power output and maximize profitability.